Grafted tree. 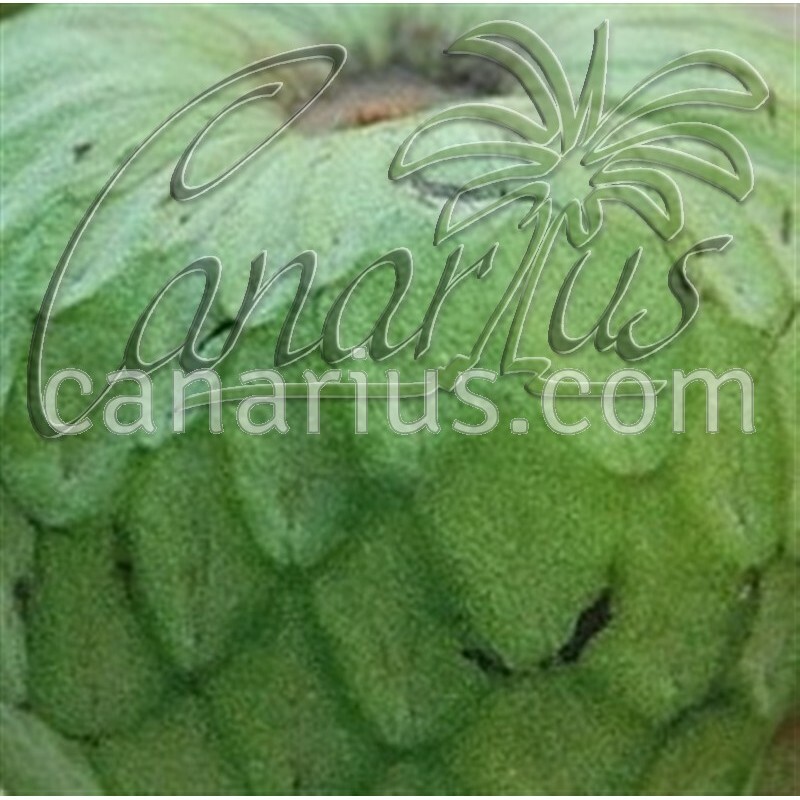 Productive and especially sweet Spanish cultivar of cherimoya or "custard apple". Fruits have a medium size of 250 g (0.50 lb).It is a small fruit tree, good for mediterranean and warm temperate climates. Productive Spanish cultivar of cherimoya or "custard apple". The variety "Fina de Jete" was originated as a local selection from the village of Jete in Granada and is the most common in Spain. It derived from the variety "Impressa", it is very productive and the fruits have a medium size of 250 g (0.50 lb), with a good percentage of flesh (65%). The high content in sugar is superior to other varieties giving a nice flavour. Annona cherimola is a small fruit tree, good for mediterranean and warm temperate climates. It is native to Central and South America. The name is derived from the Quecha word "chirimuya" that means "cold seeds", probably related to its ability to grow up to altitudes of 1.900 m (6.000 ft). Annona cherimola cv "Fina de Jete" is up to 8 m (26 ft), with a short trunk and wide and rounded top. It is deciduous, but in regions with soft winters it becomes a facultative evergreen. It has alternate oval leaves with hairiness in the back. Flowers grow in groups of 2-3 or solitary in the axis of leaves. The fruit is highly perfumed, heart-shaped with a thick, pale green rind. Inside, its flesh is creamy white and delicate, containing a variable number of large inedible black seeds. The fruit is mostly available in winter and can be used fresh, for salads, sauces, drinks, desserts and ice cream, with a high content in vitamins A and C, calcium and phosphorous. The size of this plant is: 60-80 cm tall. Height and size is variable since new plants are grafted once a year in spring.